The vintage-look jewellery train steams on this year, with fashion influencers favouring old world pieces as opposed to your box-fresh, shiny bijouterie. And the proof is in the numbers: Last year, Vestiaire Collective reported a 50% increase in its vintage jewellery category, according to Vogue. But the necklace we're loving at the moment is more 9th-century BC than pearls pinched from your grandma's jewellery box. 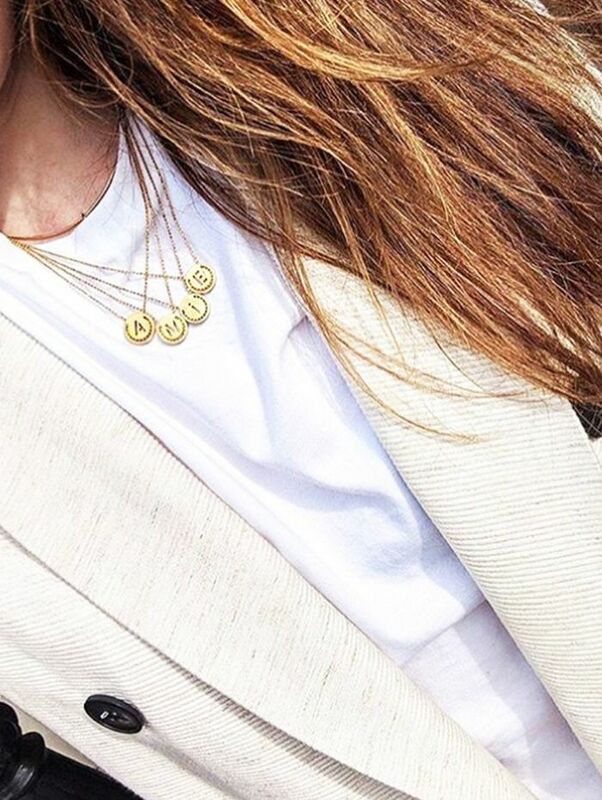 Adored by the likes of Lucy Williams—who teamed up with Missoma to create a collection with the pieces at the centre—coin pendants dangling on long chains are now the coolest thing to have around your neck. Top tip: Stick to gold if you want that "just dug up from my garden and probably worth a fortune" vibe. These necklaces have the power to give any outfit the right amount of chic and provide some balance to the most modern of looks. Keep scrolling to shop our edit of the best coin pendants.